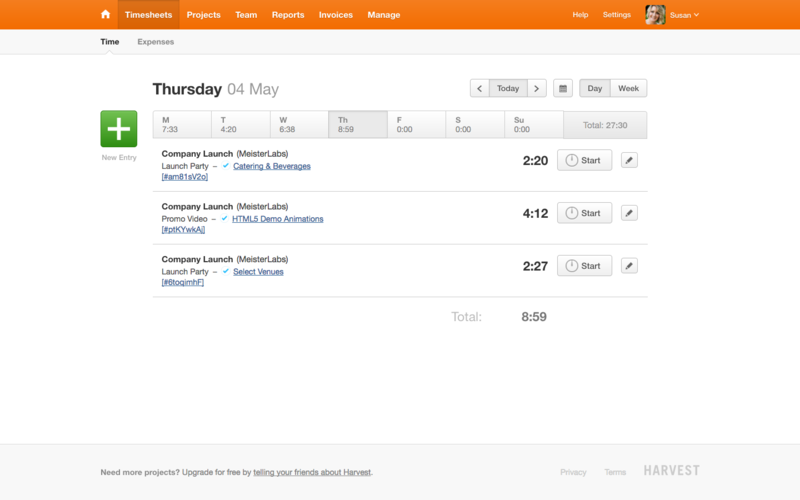 MeisterTask now seamlessly integrates with the popular time tracking tool Harvest. The integration enables you to utilize Harvest’s extensive time tracking, reporting and billing functionality without having to switch back and forth between Harvest and MeisterTask all the time. 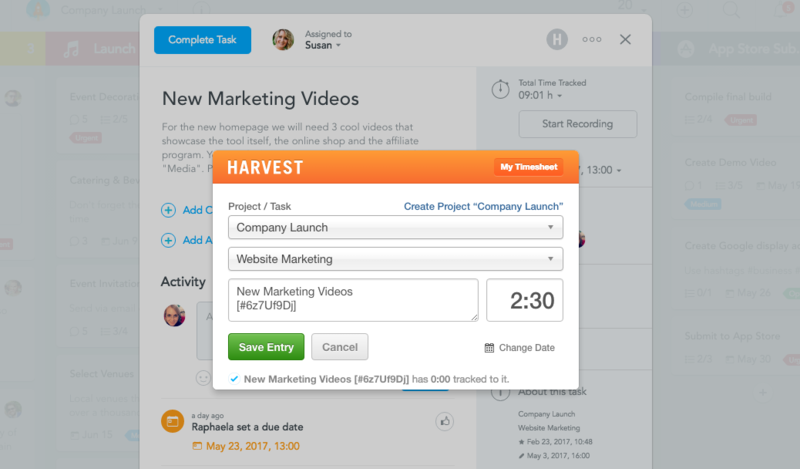 When you enable the integration, a Harvest time tracking button will appear inside your tasks, which you can use to quickly start and stop the timer. This tutorial presupposes that you already own a Harvest account. If you don’t yet have an account, you can sign up for a free trial on the Harvest website now. Step 1: Open the MeisterTask project you want to connect to your Harvest account. Click on the ( i ) button in the top bar and select Manage to open the Project Settings. 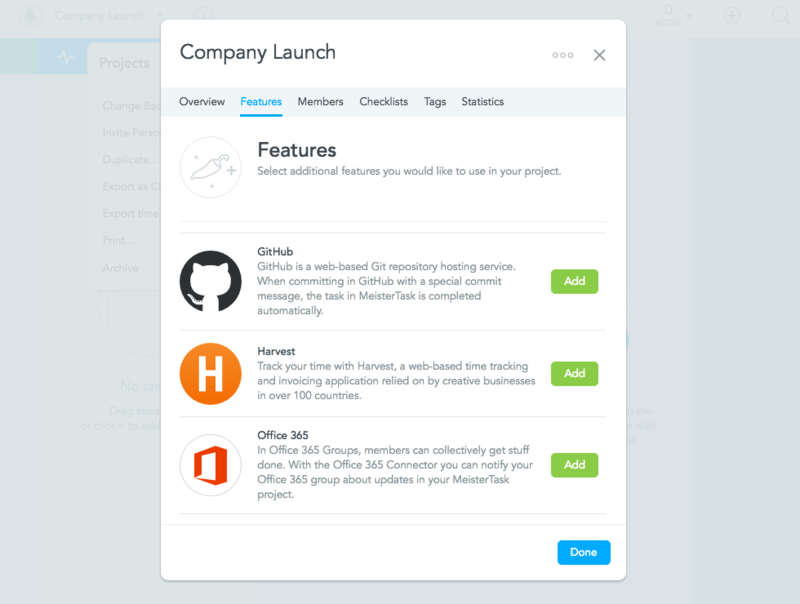 Step 2: In the Project Settings, switch to the Features tab and scroll down until you see the Harvest entry. Click on Add. Once the loading spinner has disappeared, the Harvest integration is enabled. Step 1: Open the task you want to work on and click on the grey ( H ) button in the task’s top right corner. This opens the Harvest popover. 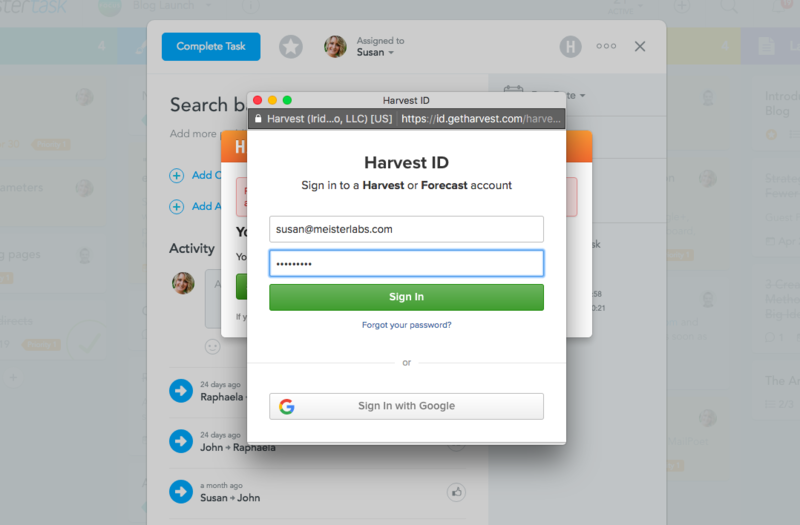 If this is the first time you’re using the integration, you will be asked to sign in to your Harvest account. 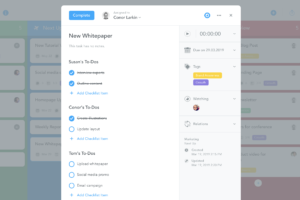 Once you’ve signed in, you’re ready to start tracking time. Clicking on My Timesheet opens the Harvest app in your browser where you can then edit the timesheet further, view reports, create invoices for your billable hours, and much more. 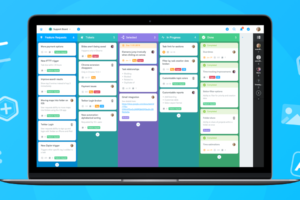 Ready to get productive with MeisterTask and Harvest? 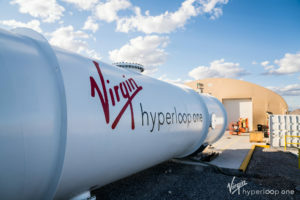 Just head on over to your MeisterTask project and connect it to your Harvest account! 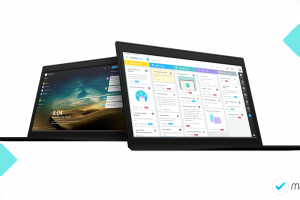 As a MeisterTask Basic user, you are able to set up two integrations in total. 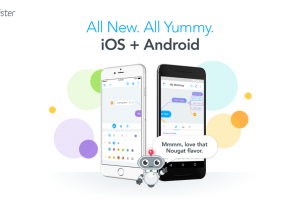 As a Pro user, the number of integrations is unlimited. 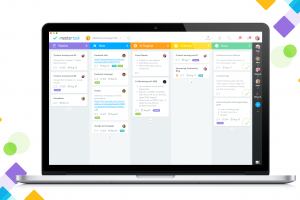 Benefit from MeisterTask’s practical integrations! 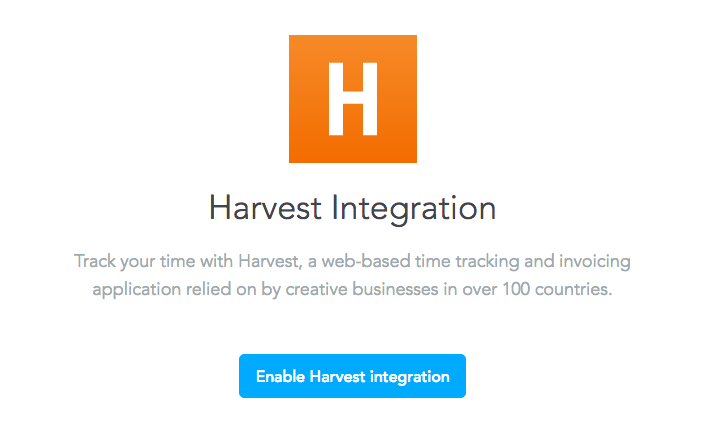 The time you track using the Harvest integration is only saved in Harvest, not in MeisterTask. As such, it is also not considered in MeisterTask’s internal time tracking reports and statistics. 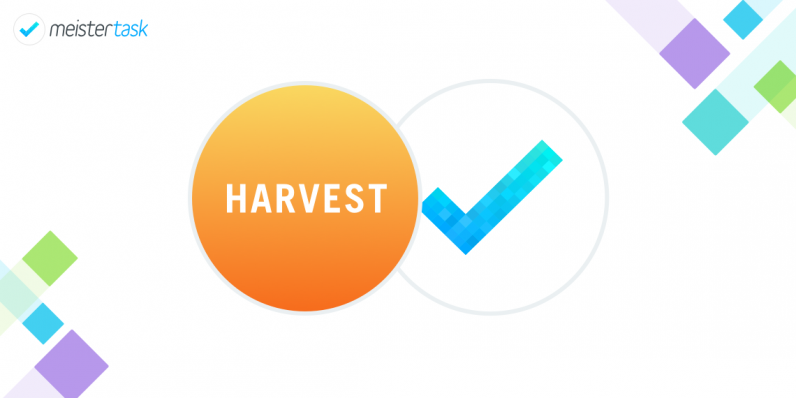 The Harvest integration currently only works in the MeisterTask web app as well as the Mac App version 1.2.7 and up. You can download the latest Mac App version from the Mac App Store.